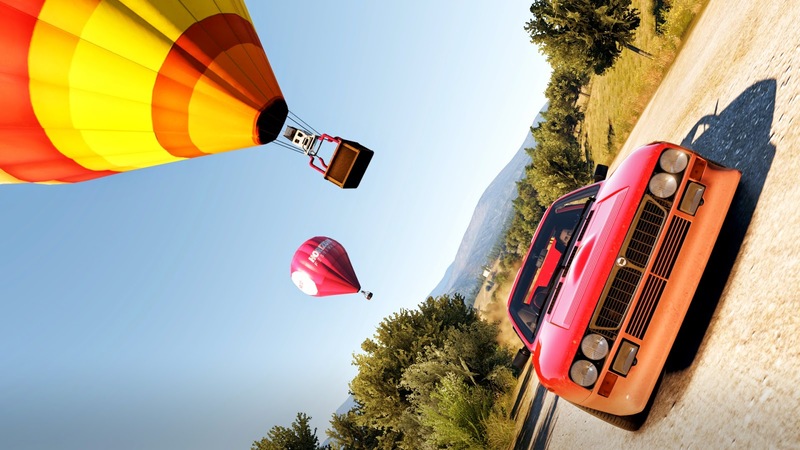 Back again is Forza, this time in the form of a sequel to it's spin-off series; Forza Horizon. The first game was released on the Xbox 360 in late 2012. The principle was to take the fantastic car models and handling from the main simulator series to a more easy-to-drive and free-roaming racing festival. The result was one of the 360's best racing games, positioning itself perfectly between arcade and simulator. No surprise then, that there's a sequel that has recently arrived for the Xbox One (it should be noted that there's a version on 360, which bases itself on this version, but it's not exactly the same game or developed by the same company). Right from the awesome, though psychedelic and rave party inspired introduction video, to the moment you roll out of a car ferry with your Lamborghini this game shines quality and fantastic presentation. 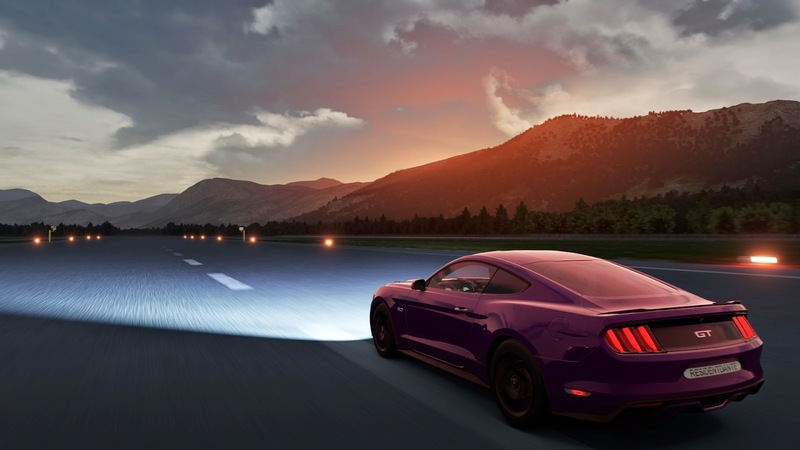 Your first drive is to get to a festival in the middle of Forza Horizon 2's map. As you drive closer, more and more racing cars meet along the way heading for the same festival destination. It's a really great way to give scope and atmosphere of the game's setting. 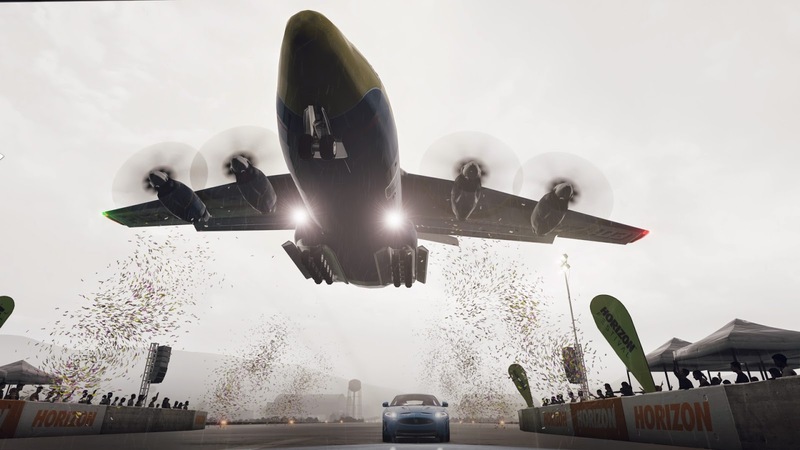 Arriving at the festival and beginning with some pep talk, you are gradually introduced to FH2's many modes through three races. The learning curve is very subtle and gives you a variety of choices to suit your playing style from the get go. 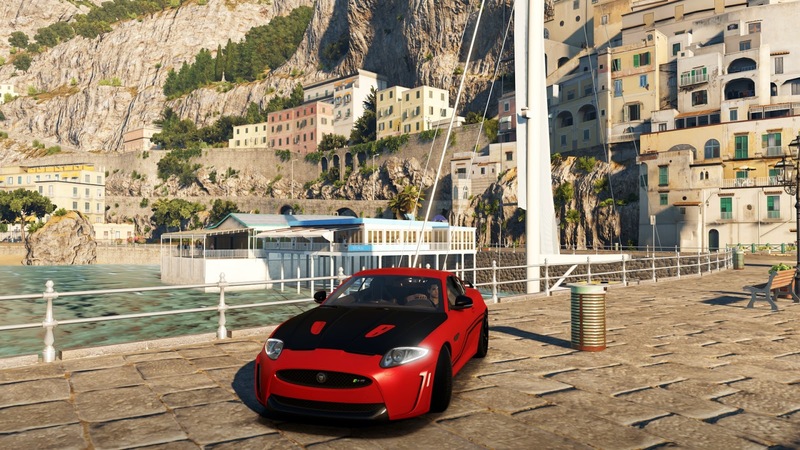 FH2's map is a small representation of the coast of France and Italy, including the beautiful city of Nice. It's a lot larger than the previous Horizon map, and includes a lot of off-road areas to roam in. In fact, a lot of the time you can simply drive away from a road and just cross the countryside to your destination. Further heightening the sense of scale and size to this game.The races reflect this very well, putting you in normal road races, off-road ones or on gravel. 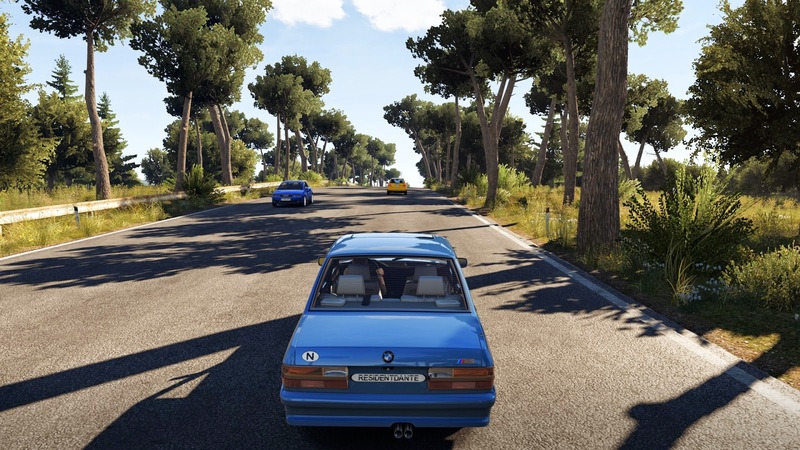 Between travelling to various towns on the map and taking part at small festivals in each one, there's a huge freedom in choices; be it car type or certain races you want to partake in. In fact the game never forces you to drive certain type of cars at all, you can simply drive what you like and partake in championships best suited to your car type. So if you enjoy rally racing a lot, you can buy only cars that suit this and partake in championships that offer this all the way to the final! Are hyper cars to your liking, or maybe american muscle? Simply buy these cars and partake in those championships that are made for these vehicles. It's a fantastic way to let the player choose his racing style and car type, without feeling the boredom of racing something you don't enjoy. 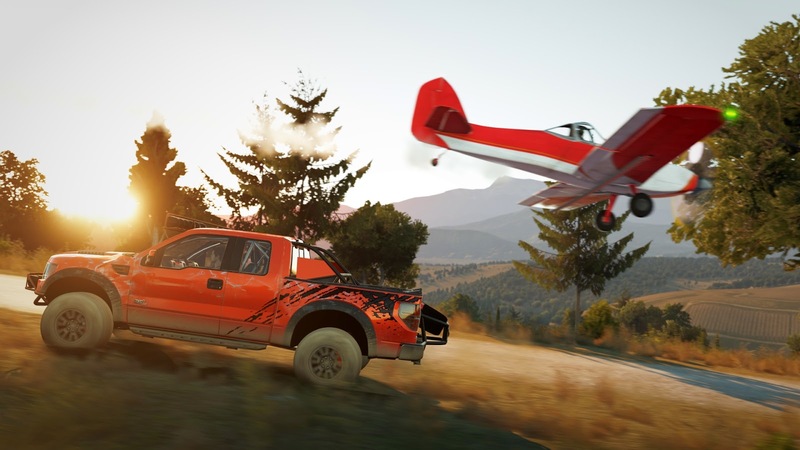 Other than racing there are a ton of challenges to complete throughout the map, including old secret cars to find in barns and smashable billboards giving you experience points. With the XP you can unlock perks that allow you to for instance give you cheaper tune up parts, earn XP at a faster rate or see which cars you still haven't taken photographs of. There are literally tons of things to do in this game and it will take you ages to complete them all. The main "story" though, until you reach the final, is shorter and as such perfect for more casual players to complete without having to dig in tens of hours into the game. It really is built to suit everybody's playstyle. I'd even go so far as to recommend it to players that don't normally play so many racing games, it really is enjoyable for them too! 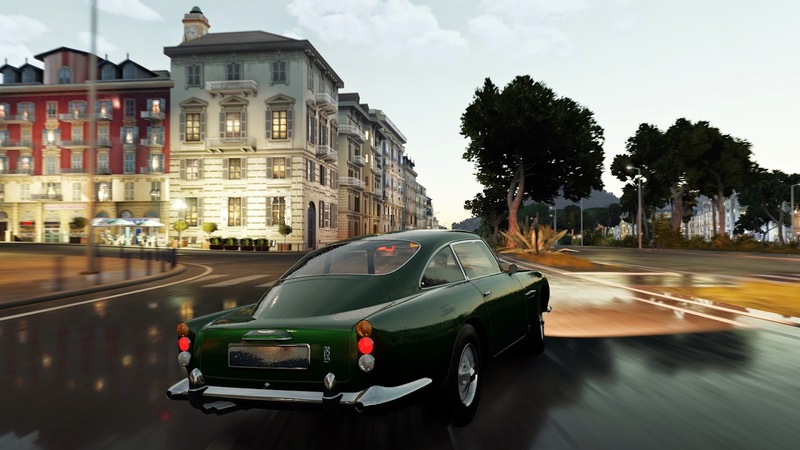 FH2 is a wonderful technical showcase for the Xbox One. The detailed world, especially considering it is a free-roaming game, is truly incredible. Towns, mountains, woodlands and sunny coastal roads are depicted in high detail and look like something from holiday postcards. The lighting adds to the mood and is superb, transitioning from night to day looks especially amazing. The rainy weather is also something new for the entire Forza series, and actually add a lot of variety to the races. Weather happens randomly as the game world changes and goes through days and nights. There's something stunning seeing the water reflections on the road lit up by your headlights and the windshield wipers moving away the raindrops on your front window as you tearing at alarming speeds down a small and windy road at night! A feeling I wish most gamers interested in racers will enjoy by getting this game! If you are remotely interested in cars and racing games, be it a simulator fan or arcade one; this is the game for you this year. It's an incredible upgrade from last generation and an amazing package filled with tons of races, challenges and places to explore with a huge variety of cars. There really is something for everyone to like and nothing like it in the competition. 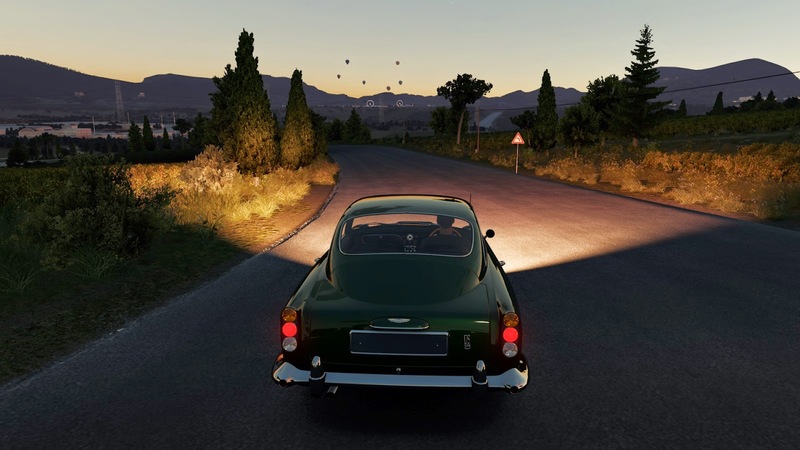 Sure the formula may have already been used in the first Horizon game, and perhaps fans of the original will find it simply more of the same, but FH2 is such a huge upgrade with even more content and jaw-dropping visuals you cannot miss out. 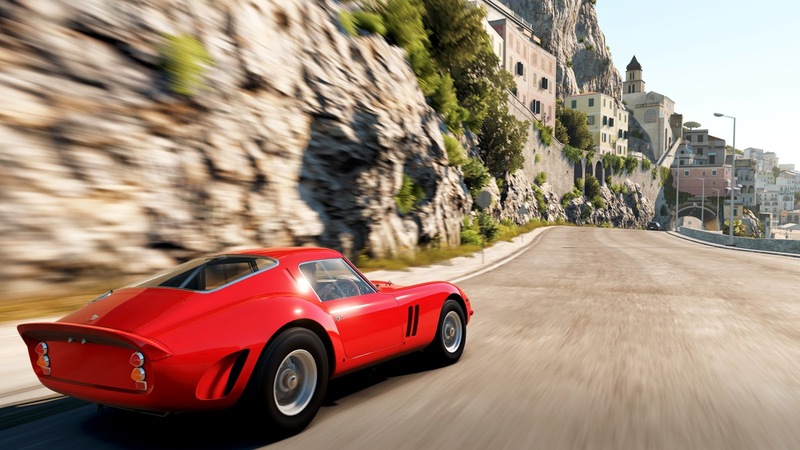 The year's best racing game? The best racing game available for the new current gen consoles? Yes and yes!